Today is my recovery day. I always want a day to mellow out after spending 15 to 20 hours fretting over briskets in my smoker. My friends stopped by to pick up their briskets and I watched Youtube videos on how to build a rolling workbench. 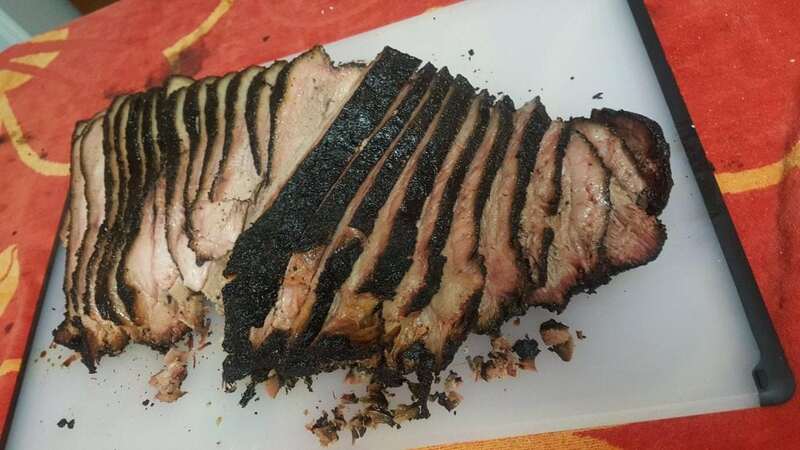 I am pleased with this batch of briskets. I am going to go ahead and purchase some more temperature probes so that I can accurately monitor the temperature of the meat for the whole cooking cycle. I only have three meat probs and I had to move them around. I rely on the data recording of the temperature probes to allow me to see the “brisket stall” between 180 and 190 degrees. I will know if the brisket is good when I hear back from the folks that got one.